With the World Cup now in full swing and the Olympics coming to Rio in a couple of years, I am sure many families will be taking advantage of Brazil's popularity to visit the country and Rio, in particular. We visited a couple of years ago with a toddler. We loved the city and there was plenty to do with a young child. Brazilians are very family-oriented. You will often find that while locals may come to you to try and sell you things on the beach or in the street, for example, often families will be left alone and/or sellers will not be as pushy. Here are some tips to help you plan your trip. 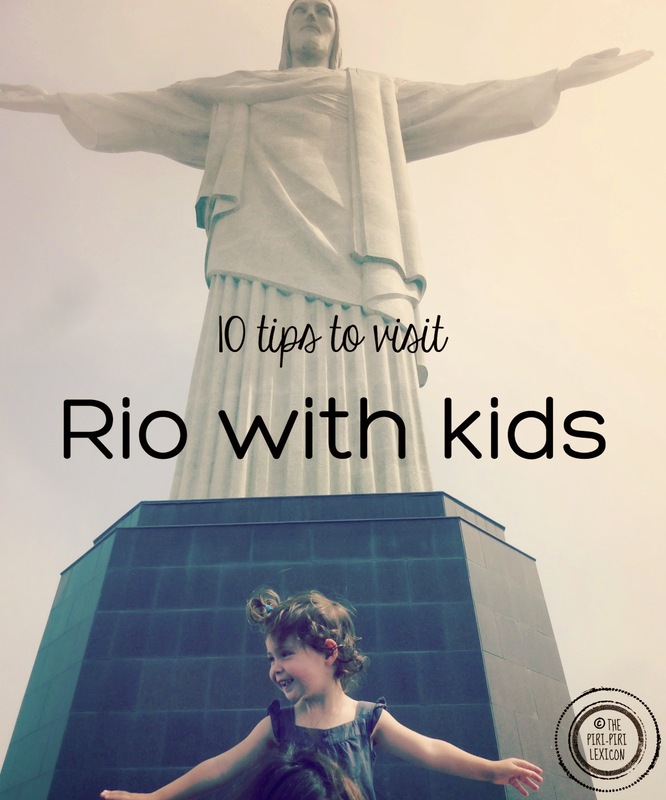 If your kids have seen the film Rio, then they will recognise a lot of the landmarks from it. I definitely recommend watching it as it is a great introduction to the city (despite being a Disney film). - Taxis: are relatively cheap and will take you everywhere. A life saver when you have a tired toddler. Beware though that distances are big and travelling takes time. A trip to the airport can take up to 3-hours in rush hour for example. They will also take your kids without any worry about seats and even seat belts! - The Selarón staircase is a very impressively tiled staircase decorated by a crazy artist. Our toddler loved climbing up and down while spotting things on the tiles. I wrote more about it here. - The Christ the Redeemer statue, of course, has to be seen. Although, to me, this wasn't the best thing to see. We reached it thanks to the steep and sometimes slightly scary train ride (Trem do Corcovado). Our daughter loved that part. But the platform on which the Christ stands is almost always packed and it is almost impossible to let your kids run free and even more difficult to take pictures. She was pretty unimpressed with the statue too. We only managed to cheer her up by saying we were going back down with the little train. Go early or late in the day! - Pão do Açúcar: A great trip out to the Sugarloaf mountain. You need to take two very impressive cable car rides to reach the top. The view of Rio is well worth it and LJ loved this as we went there early, it was not too crowded and there were little monkeys everywhere to spot and run after. There are also a few little paths to explore in dense vegetation: a welcome break from the heat. 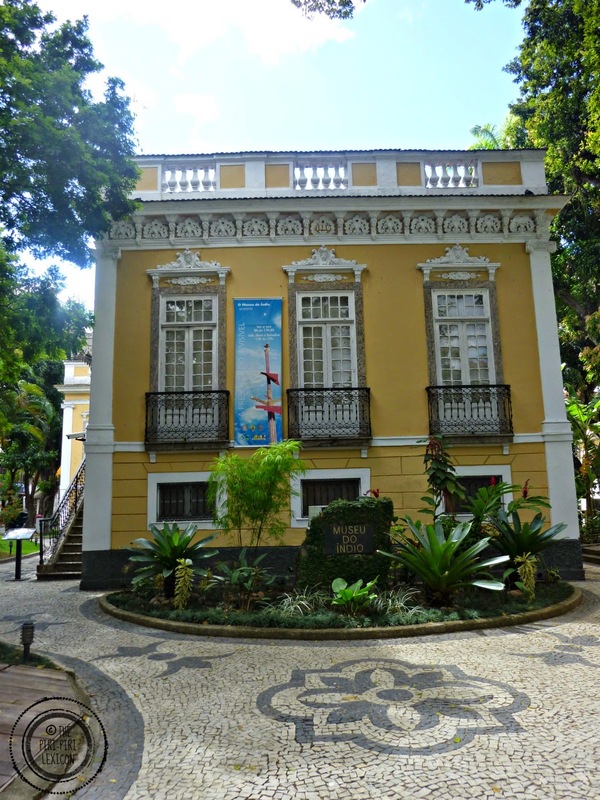 - O Museu do Índio: the only official institution in Brazil exclusively dedicated to indigenous cultures the museum has the objective of promoting an accurate and updated image for the indigenous cause. It is tucked away in the Botafogo residential area but worth the little detour. We found it quite interesting and LJ liked it too. Looking at the artefacts and listening to numerous sound recordings entertained her for a little while. The building itself is also lovely and there is a little shop selling items made by real (as opposed to tourist traps) tribes (not cheap). - Beach: Of course, you should go to Copacabana and Ipanema beaches. We found them to be clean and safe during the day. On Sundays, they get really busy but apart from that, they are great. Strolling along them while watching Brazilians play beach football, make sand sculptures, walk on tight ropes between palm trees and sell hats, bikinis, food and crazy things was one of our favourite past time. The sunset is also beautiful there. 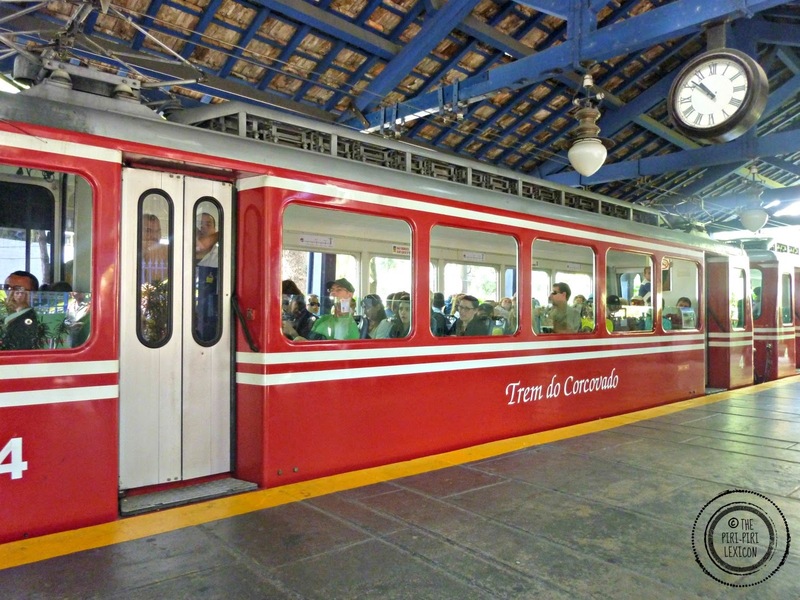 - Ride Santa Teresa tram or Bonde de Santa Teresa as it is known by the locals. 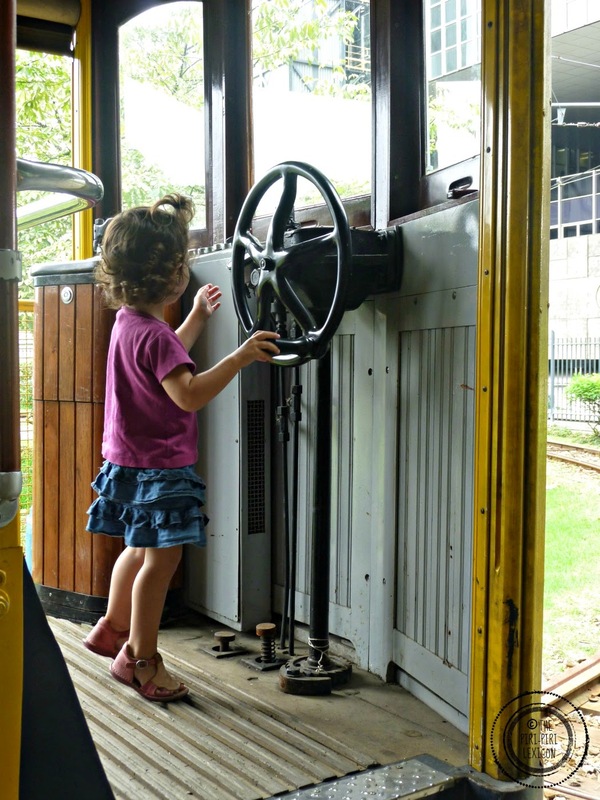 This is an historic little tram that goes up on the hills of the residential area that is Santa Teresa. It is now mostly used by tourists. It is one of the oldest street railway lines in the world. When we went, it was shut down as there had been an accident a few months prior to our visit. But we still managed to sit in it. - Drink out of a coconut: for us, Europeans, this was a fun experience. LJ loved it and it was very refreshing in the heat. Other street food is great too. We also enjoyed sugar cane juice and lots of popcorn. - Sindicato do Chopp: On a terrace facing the beach, you can eat fish pasta, salads or my favourite, picanha. They have 3 addresses in Rio and their prices are reasonable for a beach/touristic location. 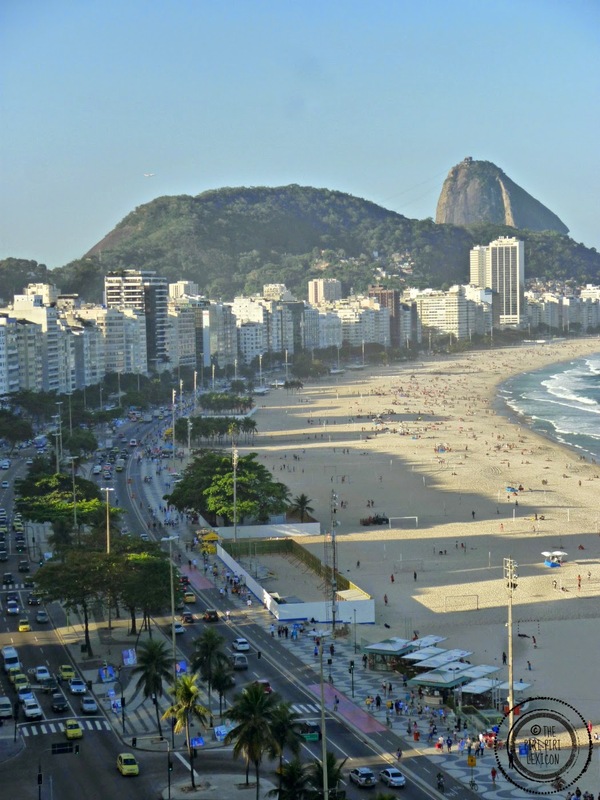 - Rio Othon Palace: the hotel is located right on Copacabana beach and we got a great deal which included breakfast. Yet, I would not recommend this hotel. The room was not set up at all for a family. There was no bed for LJ set up despite clearly checking in with a child. We had to request it once again when we reached our room. Check-in and check-out were not flexible at all. (This is important if you have an international flight leaving at 1am with a toddler. You don't want to have to check out at 10am and be the whole day with your luggage and no place to rest). The staff was also not friendly and almost rude. 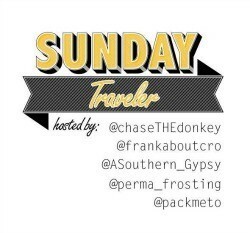 The Sunday Traveler Series can be found here. 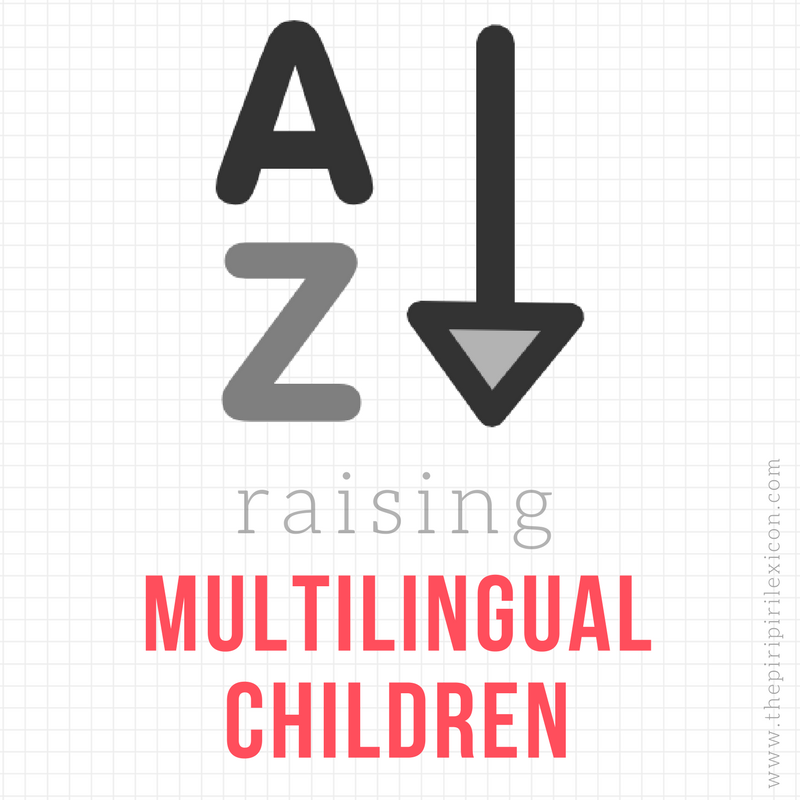 Such GREAT tips for families travelling here, and in loads of places. Big thanks for linking up with us to #SundayTraveler, hope to see you back. Wow, these are great ideas! I have not been to Rio yet! Great tips and ideas. I really liked those stairs. I think I would be equally mesmerized by all the colours and intricate patterns. I haven't been to Rio yet, but one day! Thanks for linking up to the #SundayTraveler!